Chilliwack – On October 21, 2016 (at approximately 8:23 pm) Chilliwack RCMP officers responded to a report of a robbery outside the Esso Gas Station at the corner of First Avenue and Young Road in Chilliwack, BC. A motorist had pulled into the parking lot at the service station and had pulled in behind the store. The male driver was approached by a female suspect who had a dog with her. A second female was also standing outside and when the male victim rolled down his window to talk to them, an unknown male suspect got into the passenger side of the vehicle. The male suspect brandished a knife and demanded the keys to the car. The male victim was able to flee the area on foot and stolen from the victim was a wedding ring, GPS, and a quantity of cash. The victim’s car was not stolen in this incident. Police ask that anyone who may have witnessed this incident or has knowledge of the suspects is asked to call the Chilliwack RCMP at 604-792-4611 or, if you wish to remain anonymous, contact Crime Stoppers at 1-800-222-8477 (TIPS). 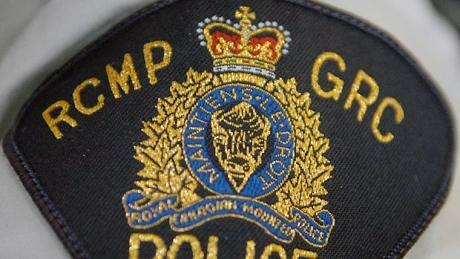 Be the first to comment on "Chilliwack RCMP Looking For Three Robbery Suspects"